Moon Neon Lamp | "Blue moon, you saw me standing alone..."
"Blue moon, you saw me standing alone..."
It's a great way to make your space shine! 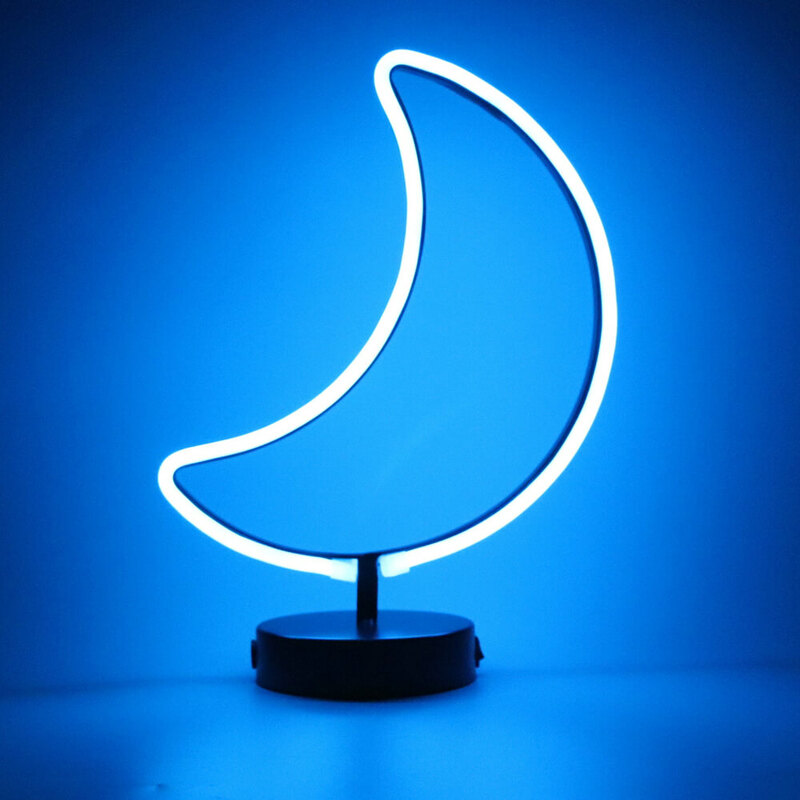 You'll be over the moon with this mysterious Moon Neon Lamp! Giving your room an alluring night sky look with blue neon, it's the perfect way to light things up! It creates a calming atmosphere for any space as it brims with lunar luminosity! You only come across something this great once in a blue moon... It's out of this world! Blue LED Light. LED lights are non-replaceable.